R·STONE produces decorative effects which are quite widely used nowadays in modern architecture. The substrate undergoes accelerated aging as if it had been exposed to different weather conditions. 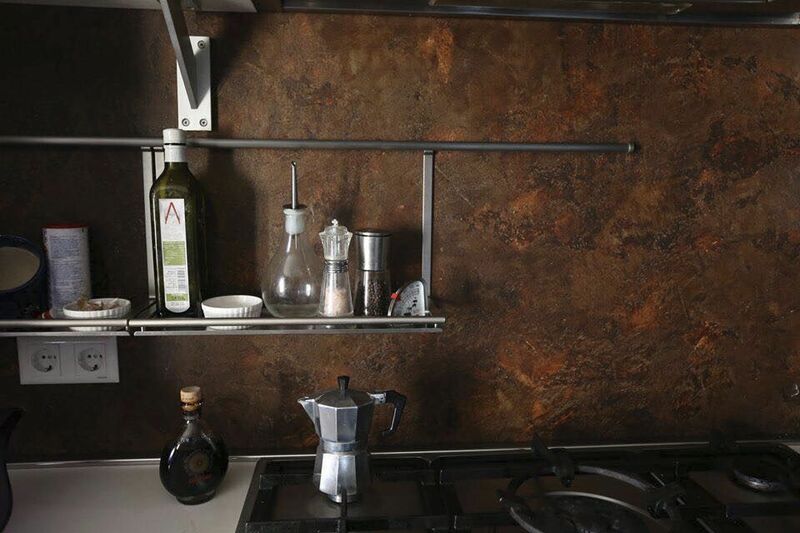 With R·STONE Rosso, the substrate becomes non a non uniform decorative effetct with a Rust "touch". Spreading Rate - R-Stone Fondo 1 m²/kg in two coats; R-Stone Finish 8 to 12 m²/l in two coats. Application Tools - Trowel and roller.